Editor’s note: This post was originally published on January 31, 2008. It was substantially revised and republished on March 5, 2012. Once upon a time, Gus was a name bestowed with some frequency on newborn baby boys. From 1880 to 1900, it hovered between 122 and 199. It was no John, or even Robert, but still common enough that you might have a Gus on your family tree, hanging out with Great Aunt Esther and your third-cousin-twice-removed, Mabel. August – just like the month, and like playwright August Wilson. Slightly more user-friendly than the imperial Augustus, but August can claim a throne, too – a trio of Polish kings answered to the name. Augustin – more French-fried than the first option, with a certain amount of hipster-literary flair, thanks to Augusten Burroughs. Agustin is the Spanish form. Augustine – saintly, but if you’re planning to call your little guy Gus, no more burdensome than most of these choices. Angus – It’s tough to come up with a boy’s name that is simple, straightforward and not in the US Top 1000. Angus fits the bill – and leaves you with the cute nickname Gus. Fergus – It’s a bit farther out than Angus, but might work for an adventurous parenting pair. Ferguson – Somehow, tacking on an extra syllable tones down Fergus. Ferguson is an unusual surname choice that could work, especially with a shorter last name. And the middle syllable – Gus – is just begging to be used as the short form. 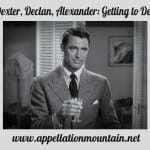 File this one with Harrison, Emerson, and Ellison – all longer surnames that wear well. Gustav – This is one of those funny names that everyone recognizes, but few people consider for their sons. There’s something theatrical about this choice, and it probably wouldn’t wear as well as August or Angus. Mingus – If you’re a jazz fanatic, naming your child after jazz musician and activist Charles Mingus could be an interesting choice. Magnus – A Scandinavian heritage choice with Hollywood cred, thanks to Will Ferrell’s son Magnus, a brother for Axel and Matthias. Ferrell’s wife is Swedish, so those are some definite heritage choices. Actress Kristy Swanson has three sons, too – Ethan, Seth, and another starbaby Magnus. Gus is not exactly intuitive here, but there’s no reason he wouldn’t work. Of course there’s always the option of putting good ol’ Gus on his birth certificate. With kids called Max and Cole and Jack, there’s no reason he can’t stand on his own. He’s friendly, homespun, and works as a short form of plenty of given names. There are plenty of good reasons to get to Gus! My husband and I love Gus for a boy (we don’t know what we’re having yet! ), but – as is very common with this name – I want a longer, formal version. I’ve pored over this articles and others like it and still can’t find an answer. I’m so-so with all the August names, and none of the others fit my main criterion, which is: I want a name that my Italian relative will recognize and be able to say, or at least there needs to be a workable Italian version of the name. I am hoping to wrangle my husband into the following compromise: I would like to name a boy George, after my grandfather, and I’m cool with using a middle name with a prominent S sound (either first letter, or generally first sound), and then smoosh them together and use Gus as a nickname. Any thoughts? We don’t have an S-name that we really like, however I’ve been considering Anselm, which is my husband’s recently deceased grandfather. 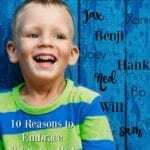 George Anselm – could you call him Gus? Any thoughts? I’d appreciate input from this awesome name community! Agostin and Agostino are Italian versions of Augustine (which is a name with Latin roots, one of the most famous saints, and present in some variation in virtually every European language, so even if you didn’t go with a specifically Italian version, I don’t think it would be unrecognizable to people from any European background). There’s also Gustavo in Italian. There’s also Giuseppe, which isn’t obviously related to Gus phonetically but visually is a pretty easy jump. But mostly I think: You can use whatever nickname you like for your kid and most people will go along with it. 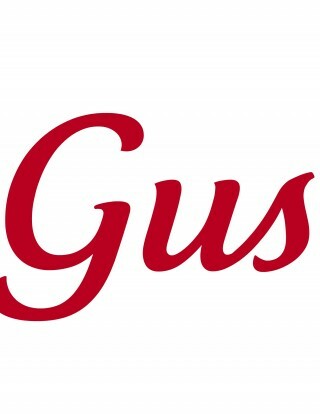 In fact if you use “Gus” consistently, most people you encounter casually won’t even know what his full name is. I’ve had many friends whose social names and legal names had little or nothing to do with each other. I really wouldn’t stress over choosing a name you don’t really like *just* to get to Gus. Choose a name you like, and call him Gus anyway if you still want to. There’s a little boy at my church whose given name is Ferguson (he goes by Freddie, but that’s another story.) His mother’s maiden name was Ferguson and she got the idea of passing on her name from watching “Clarissa Explains it All”. The only Gus I know in IRL is my friend’s son August, in a round-about way he was named after Cinderella’s mouse. I know a boy named Guthrie who goes by Gus. We have a politician here in the UK called Sir Menzies ‘Ming’ Campbell – Menzies being pronounced pretty much the name as Mingus. There used to be the joke that Sir Ming was so old, letters in his name had become obsolete. I’ve always liked the idea of Gus. Ever since I first saw Lonesome Dove years ago (Augustus McCrae was my favorite) the name Gus (and Augustus) has been stuck in my mind. I’ve been seeing quite a few baby boys just called Gus – but in Australia, the most common would be Angus nn Gus. Mingus – the nerdy kid no one cool wanted to hang out with on Boy Meets World. Yes, these two were my first thought for Ferguson and Mingus. Perhaps its just showing which generation I belong too, since I don’t think I could get over either T.V. character enough to use the names. Thanks, Saranel. I was dimly aware of Ferguson, but I missed Mingus! I love August and Augustine. Gus is the cutrst nickname! I adore the name August and Angus has been on my list for a long time. However, I’m not a fan of the nn Gus which is why I’ve substituted Angus with Amos in my top boys list. I had to look it up but apparently Mundungus is an obsolete term for a very stinky tobacco. HA! That fits J.K. Rowling’s character. She really is a tremendously clever namer. Oh yes, and if you want more Disney I think you could get to Gus with Geston! I have a five-week old son we call Gus. 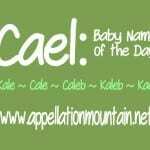 My husband and I actually used this post to jump start the discussion on his formal name. We ended up choosing Augustin since it sounds best with our older daughters’ names but I would have used Mingus or Augustine in a heartbeat if we lived in Europe where they would likely be better received than here in the US. I am really in love with Gus! I actually love the thought of having a rolly polly toddler named Gus-Gus. In Cinderella she named him Octavius and called him Gus.. could this be another way to Gus? I think my favorite formal name is Augustus, but my husband thinks it’s too “Charlie and the Chocolate Facotry”. Which I actually dont mind that association at all. I actually like Gus by itself the best, no formal name, but I do feel he is rising i popularity as a nn pretty quickly so he is like 3rd on our list of fave boys. Other getting to Gus names I like are Giuseppe and Argus (as in Argus Filch from Harry Potter) . Great re-run, I totally didnt know this post existed!!! I actually suggested Gustaf to my husband a few weeks ago. He dismissed it along with Olaf and Oscar. I think I had better give up on Scandinavian royal names. I like August and the other Gus names work pretty well. I wouldn’t mind hearing a Gus or two in the future. My brother and I discovered a rather prominent Gustav on our family tree a couple of years ago when searching for family names to recycle. I was somewhat enchanted by the discovery while my brother appeared more horrified. However, I do agree that it somehow has a theatrical ring. I wonder whether my great-great-grandfather will be offended if I name my hypothetical pet after him and call it Gus-Gus for short? Haha! Impressive lineup, but I’m laughing at Gus’ disappearance circa 1978, and thinking it could have something to do with the Disney film starring Don Knotts, about a football-playing mule named Gus (also the title of the movie)… Which, coincidentally, I’m sure, came out in 1976! I also recall a fat mouse in the Cinderella movie called Gus-Gus, now that I think about it. I’m glad you’re speaking out against Disney’s now-obvious plot to de-popularize the name among us Gen-Xers! Sorry, I’m late on this. I was just thinking that Magnus COULD also work as a way to get to Gus. Not as intuitive but it works, IMO. […] in January 2008, when I had about three visitors, one of my first posts was called Getting to Gus.